A group of protesters gather outside the Black House on Nov. 13. Seven students were selected to join a community discussion with administrators regarding inclusion issues on campus after students sent a list of demands for a more inclusive campus to administrators. Seven Northwestern students will meet with administrators Tuesday to discuss diversity and inclusion issues following a list of demands sent to University President Morton Schapiro that call for improving the experiences of students of color. Administrators responded to the demands, published on the Northwestern Black Lives Matter Facebook page and sent to Schapiro in November, with an invitation for a select number of student representatives to be chosen to participate in a smaller discussion. The students selected were Weinberg senior Hazim Abdullah, SESP senior Qunsia Daniel, Weinberg junior Marcel Hanna, Weinberg sophomore Jayleen James, Weinberg freshman Jamal Julien, Communication sophomore Darcelle Pluviose and SESP sophomore Michelle Sanders. Julien said the selected students will be going over the list of demands and speaking from their own experiences in a conversation he hopes will result in a more inclusive campus. 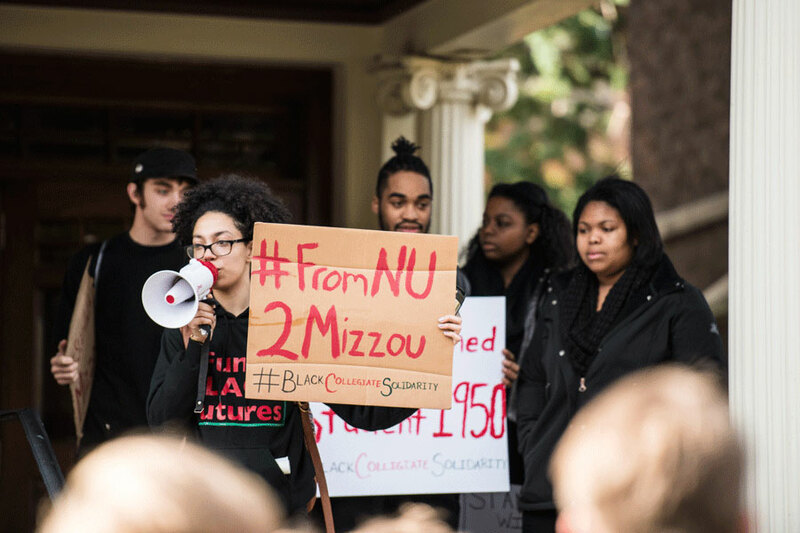 Prior to publishing the list of demands, students had gathered outside the Black House on Nov. 13 to protest institutional racism and marched across campus to disrupt the groundbreaking of the lakeside athletic complex. Students read off a preliminary version of the list and officially posted it on Facebook on Nov. 28, asking the public to send the demands to Schapiro. Schapiro told The Daily last month he received nearly 60 emails with the demands. He said he was impressed by students’ dedication to speak out on issues that mattered to them. Schapiro responded to the student body with an email signed by him and other administrators that listed steps the University has taken to improve diversity, equality and inclusion on campus, committing in the email to further progress through community discussions. Although details about Tuesday’s discussion are not being released, Julien said the ultimate purpose behind the meeting is to develop an open relationship with the administration. “We just want a relationship in which … all students, regardless of what they identify as, feel comfortable on campus and don’t have to fight for spaces, don’t have to fight for rights, don’t have to fight to be comfortable on their own campus,” he said. A previous version of this story misquoted Jamal Julien. He said the students were sent emails informing them they had been selected to speak to administrators. The Daily regrets the error.